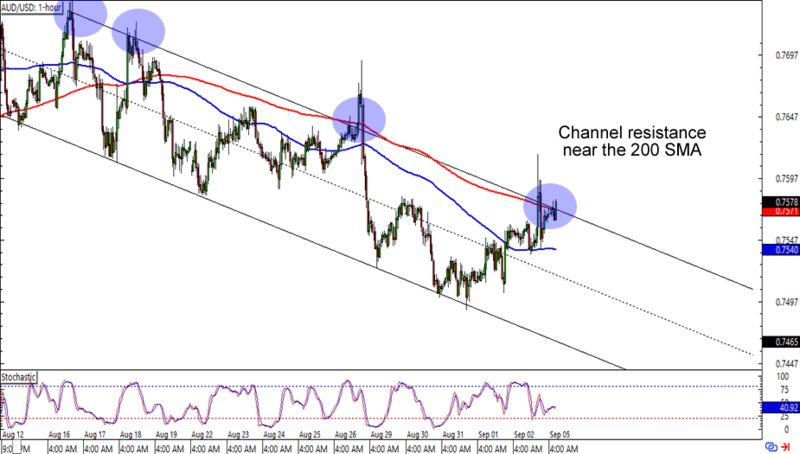 First up for today is a nice and simple trend play on AUD/USD. The pair is having trouble breaking above the .7580 area, which is right smack at a channel resistance and 200 SMA on the 1-hour time frame. Not only that, but it’s also around a previous support and resistance levels. 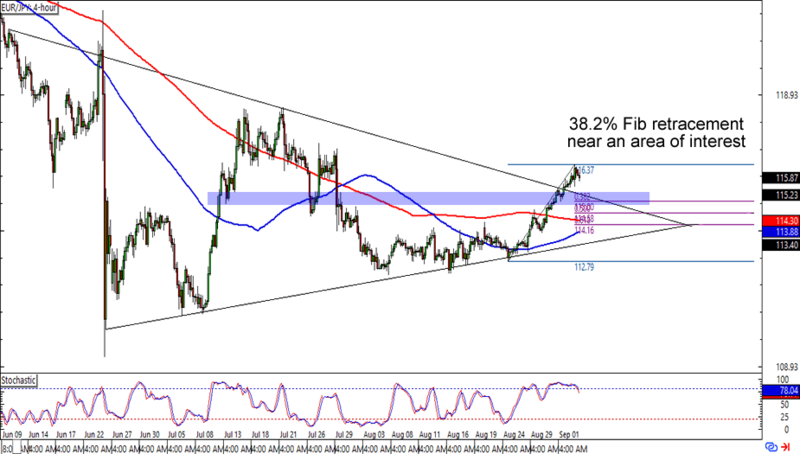 Will the Aussie see more losses against the Greenback? Placing stop losses just above the channel could get you a good trade especially if you believe that the pair will reach new lows this week. Just mind your reward-to-risk ratios! Easy peasy, lemon squeezy! 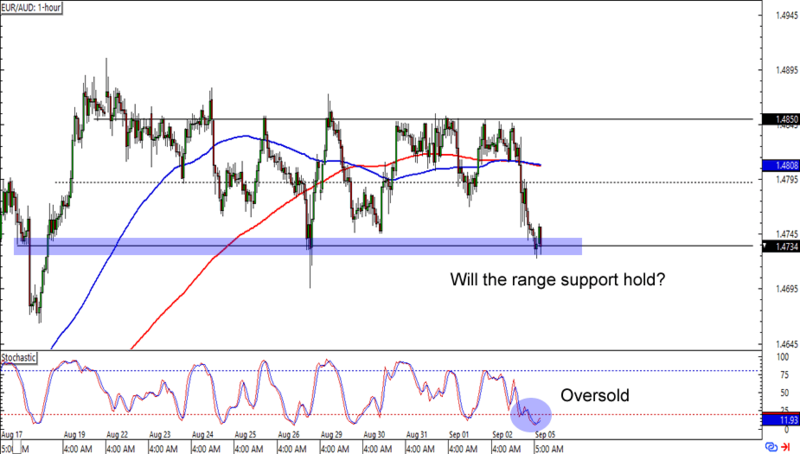 EUR/AUD is hanging around the 1.4735 area, which has been serving as a range support since mid-August. Are we looking at a bounce in the making? Stochastic is currently on the bulls’ side with an oversold signal, but keep your trading plans tight and prepare for a downside breakout in case the bears aren’t done attacking just yet! Breakout alert! EUR/JPY has just broken above an ascending triangle on the 4-hour chart. What’s interesting about the setup is that it also looks like it’s about to retest the broken trend line that lines up with an area of interest and the 115.00 major psychological handle. A retest of the level could pave the way for a bounce to the previous highs near 117.00, while a drop back to the triangle could take the pair to the 113.50 support. Keep close tabs on this one, will ya?